The Flying Saucer is a classic bar/gastropub institution on the main river-walk in Little Rock, Arkansas. As soon as you enter you notice the leather chairs and couches, the old world plates on the ceiling, and plenty of beer on the tables in front of comfortable drinkers. It was the perfect place to grab a quick drink and snack after a long day of driving (from Chicago) while we waited for my sister to arrive at the airport. Little did we know that we would make a repeat appearance the next day - partially by chance, partially because we were happy to go back. The beer list is very impressive, with multiple pages of options in addition to numerous beers on tap. 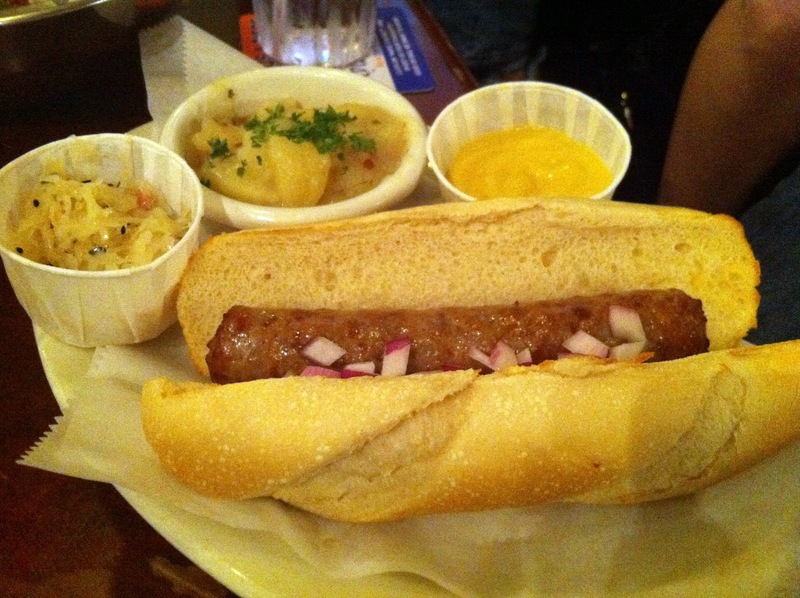 The food menu is as expected from a bar, with a distinct, home made german influence. Friday night we only had time for a round and two soft pretzels. 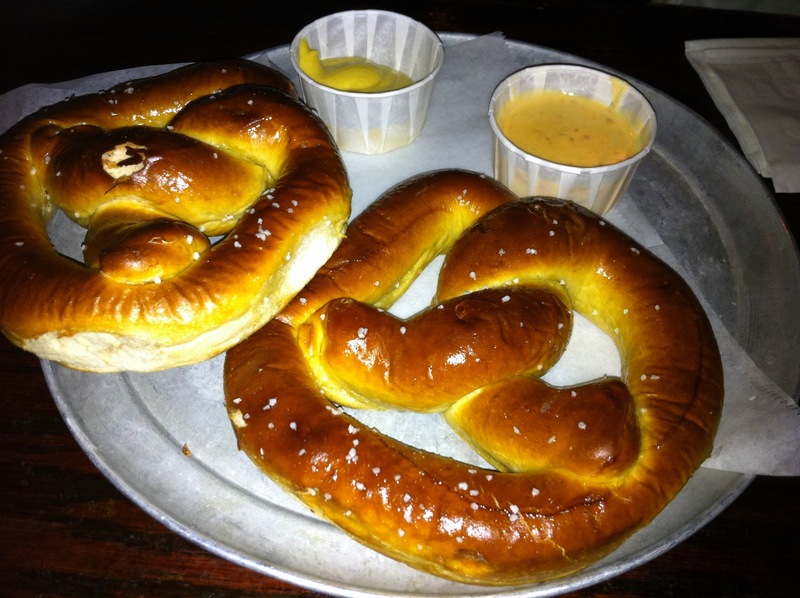 If you're thinking ball-park pretzel, you're wrong. These are large, deliciously soft, fresh out of the oven pretzels served with a choice of sauces. We went with my favorite - melted cheese. The following day we were in the neighborhood checking out the Clinton Presidential Library, just down the street from the Flying Saucer. Our quick lunch included all the classics of great bar food served with beer in front of large TVs showing football and seated in comfortable leather couches. 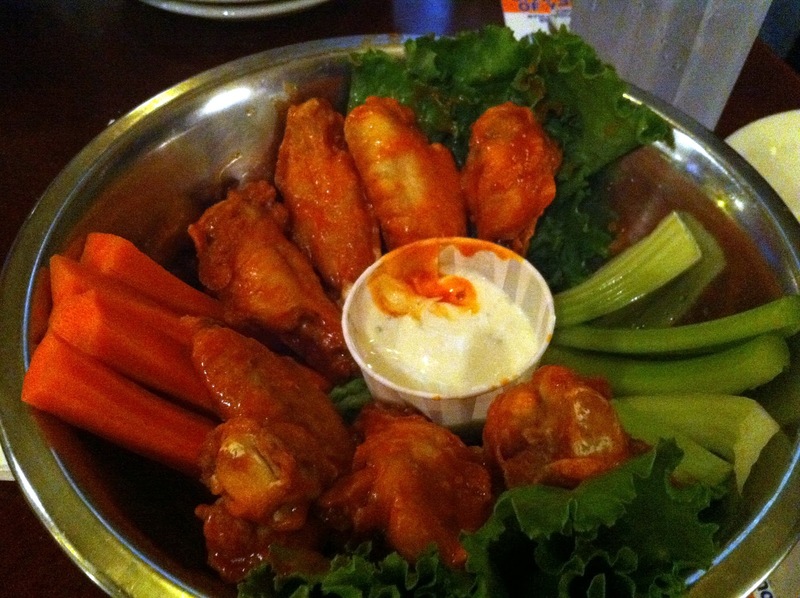 We started with spinach/artichoke dip, chili cheese dip and salsa - and finished with chicken wings and bratwursts. The secret though is that they make the brats on the premises and they were unbelievable. If I had access to those brats tailgating during the football season I would be a few pounds heavier (and scaring my doctor). The wings were uninspiring but fulfilled their standard mission. The spinach dip was surprisingly good without an obvious excess of cheese or oil and the chili cheese dip was amazing so long as you didn't worry about the nutritional value. 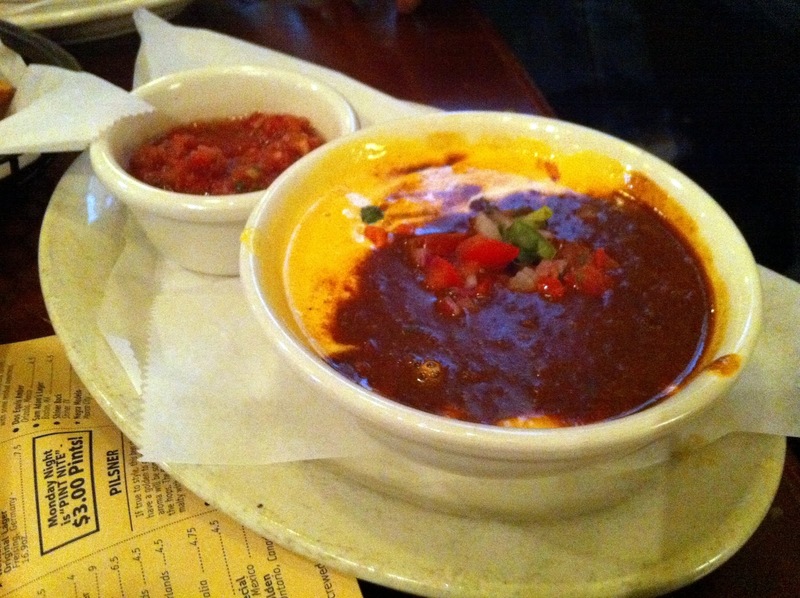 I prefer my chili cheese a bit thicker and chunkier, but since it was served with tortilla chips it worked out. All in all I can see why people join the U.F.O. club and make the Flying Saucer a central part of their entertainment routine. There's even a reward for drinking 300 different types of beer - you get your name on a plate and forever enshrined on the wall. The food is quite solid, especially the German focused fare. If the saucer was in Chicago you can bet I too would be there often for a drink and snack. I actually was in Little Rock last summer and checked out the Flying Saucer, stuck to the beer list over food but was impressed just with that. Also, don't know if this struck you while you were there, but the Clinton Presidential Library kind of looked like a trailer to me, hitch and all.